With Pokémon GO having launched in Europe and Canada over the weekend, there seem to be no signs this game is losing steam. Niantic Labs’ Android and iOS augmented reality-based title is still the most popular game on the Play Store and App Store, and the new launches have added thousands more players (maybe even millions more), and that still doesn’t count those who have sideloaded the game onto their devices in markets where it isn’t available yet. 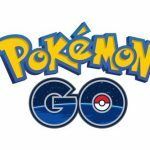 More players means more people starting out at level 1, but how do you go about leveling up, regardless of where you’re from or how long you’ve been playing Pokémon GO? We’ve been covering this game extensively since a few days after its release, and the strategy guides have been adding up since then, covering a wealth of specific tops on top of the general tips and tricks we’ve offered. So let’s take you now to our latest Pokémon GO strategy guide, where we talk about ways in which you can level up faster. Checking into a PokéStop is a good way to get experience points easily. One check in is worth 50 XP each, and truth be told, that really isn’t a lot of experience points. 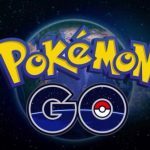 But think about the sheer number of PokéStops that may be located in your area. You can find them at the park, you can find them when you go to the mall, and you may even find them near your school or office. Still, as we definitely do not recommend playing this game at the expense of your work or studies, you can visit these places (even work and school) and go hunting for PokéStops. Also keep in mind that there are cool-down times for using PokéStops, usually about two to five minutes. That should allow you to do rounds and go back and forth to PokéStops as you collect more items, and farm for more XP. There have been lots of Pokémon GO players claiming on online forums and social media sites that this trick works – how about evolving your “cheaper” Pokémon, meaning those creatures who don’t require a lot of Candy for you to evolve them? These include the likes of Pidgey and Ratatta, so if you’ve got a few of those Pokémon, then focus on them due to the less stringent Candy requirements for evolution. One Pokémon evolution is worth 500 XP a pop, and that includes evolving them from their previous form. Catching a new Pokémon is also worth 500 XP, and that’s more incentive, of course, for you to “catch ‘em all.” And, if you catch a new Pokémon you haven’t encountered yet, then evolve it right away, that’s going to net you 1,000 XP in one go. Also, you can send your extra Pokémon over to Professor Willow if you’re in need of Candy. You’ll also be able to hatch Pokémon eggs, which will likewise net you 500 XP per egg hatched. Have as many eggs as possible hatching in incubators, as that could easily result in thousands of XP, especially if you’re hatching a Pokémon that you haven’t encountered yet, when it becomes 1,000 XP per egg hatched. But speaking of eggs, there’s a special type of egg you should make use of if you want to get more XP and level up faster. Of course, we’re referring to the Lucky Eggs, which are quite rare, but are always worth it if you’re able to luck out on one (no pun intended) at the PokéStops. To refresh your memory on these eggs, their special “power” is to double all XP gain for 30 minutes, so keeping that in mind, you’ll want to use those Lucky Eggs in relation to the above tips we shared. Assume, for instance, that you’ve got several Ratattas on you, with lots of Ratatta Candy to use for their evolution. Activate the Lucky Egg if you’ve got one handy, evolve all your Ratattas with the candy you’ve got, and come away with a thousand XP per evolution, easy. And if you activate your Lucky Egg while you’ve got lots of eggs simultaneously hatching in the incubators, that’s also going to be 1,000 XP per egg hatched, as opposed to 500 XP. It can even double to 2,000 XP per egg if you end up with Pokémon you’ve yet to encounter for the first time. Meanwhile, you can also catch Pokémon the usual way and get 200 XP (instead of the usual 100 XP) if you’ve got your Lucky Egg activated. Still, we prefer using the Lucky Egg in conjunction with the evolution and egg-hatching tips we mentioned above, though we should remind you once again that Lucky Eggs are a very rare commodity. Make sure you make the most of them, because you’ll never know when you’re going to be able to find one again. Throwing the PokéBalls the right way could be key in helping you catch more Pokémon, and it would be preferable, of course, if you’ve mastered the art of throwing a Curveball. That means adding some spin in your throw, much like curveball pitchers in baseball do the same when throwing that pitch. In this case, though, this means throwing the PokéBall while it’s sparkling, and you’ll want to spin the PokéBall while in your hand so that it could sparkle. Catching a Pokémon with a Curveball will give you an additional 10 XP, and again, that’s not much to go with. Still, a small bonus is better than no bonus at all, right? So what do you have to do to ensure yourself of that bonus, as well as a couple better ones? Simply watch out for the words “Nice!”, “Great!”, or “Excellent!” that show up after you throw the Curveball, which is the game’s way of telling you that you threw the curve well. If the PokéBall still goes through the colored ring while it’s still fairly large, that’s when you’ll get the “Nice!” notification and 10 bonus XP. If the ring is medium-sized, you’ll get a “Great!” bonus, which is worth 50 XP. And if the ring is really, really small, you’ll get the “Excellent!” bonus, which is valued at 100 XP. Still not much of a bonus, but that should be good incentive for you to practice throwing your Curveball so you won’t get as many of those throwing bonuses as possible, which could add up as you keep on catching more Pokémon. Though it’s going to be more difficult to gain XP by fighting gym leaders, the XP gains you can achieve through this could be very much worth the difficulty. The more Pokémon you’re able to defeat consecutively, the more XP you could earn through this method, so if you’re up to it and have a stable of Pokémon with high CP ratings, this could be worth a try. These would be our tips and tricks for Pokémon GO to level up fast. In case you want to read all of our Pokémon GO strategy guides, then visit this link, that will lead you to our collection of hints.